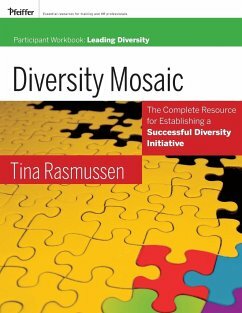 The Diversity Mosaic Participant Workbook: Leading Diversity is designed to help people who manage others and set policy at all levels (executives, middle managers, supervisors, group leaders, and board members) to develop knowledge, awareness, and skills required by leaders in creating a truly inclusive organization. It will also help people understand what the organization expects of leaders in supporting the organization's diversity initiative. When you have completed the workshop you will: * Understand leaders' unique roles in creating a successful diversity initiative * Appreciate why cultural competence is important for you as a leader * Learn the concept of structural inequality and leaders' role in addressing it * Analyze your perceptions, strengths, and development areas in leading diversity * Learn skills to increase your level of cultural competence as a leader * Determine how to demonstrate support for your organization's diversity and inclusion effort by developing your ability to communicating the Cornerstone concepts effectively * Create a personal action plan for leading diversity and creating true inclusion in the workplace The Diversity Mosaic Participant Workbook contains all the forms required for you to complete a 360-degree assessment. This process will enable you to gain insight into how others perceive your behavior with regard to leading diversity and creating an inclusive environment. 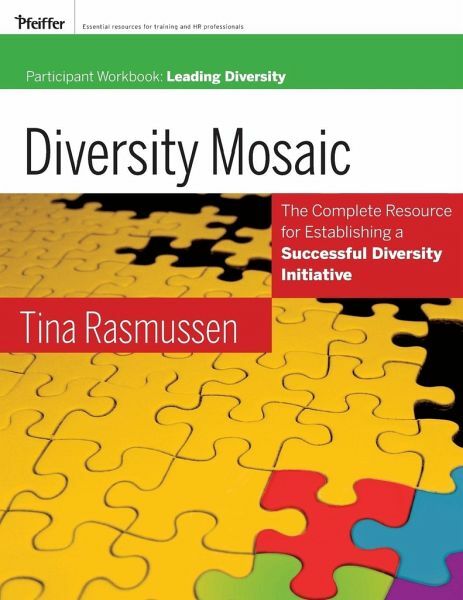 This workbook is designed to be used in conjunction with the Diversity Mosaic Resource Guide. Tina Rasmussen, Ph.D., draws on more than twenty years experience directing organizational effectiveness departments and initiatives for a variety of industries and organizations, from small non-profits to the Fortune 100. Thousands of diversity change agents worldwide have used her method for creating truly inclusive organizations that value diversity. Degree Assessment Instructions for Observers. Leading Diversity: Assessment Form for Observers. Leading Diversity: Assessment Form for Observers. Leading Diversity: Assessment Form for Observers. Leading Diversity: Assessment Form for Observers. Leading Diversity: Assessment Form for Observers. Leading Diversity: Assessment Form for Observers. Leading Diversity: Assessment Form for Observers. Leading Diversity: Assessment Form for Observers.